It’s more important to avoid mistakes than it is to have great qualifications. 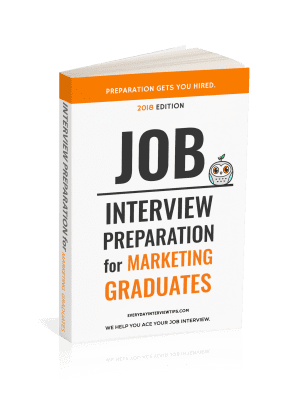 Whether you’re qualified for the job matters off course, but in job interviews the interviewer is looking to see why they should NOT hire you, not looking to see why they SHOULD hire you, and so avoiding mistakes is crucial. Despite this, interview mistakes are extremely common. You simply cannot be unprepared for an interview. If an interviewer asks what you know about their company, products, or the job, have an answer. Study common questions and prepare good answers, research the company thoroughly and be as prepared as possible. How you dress for the interview also matters. It goes without saying that you need to dress as professionally as possible, from head to toe. Don’t have shoes? Check out your local thrift store for good deals. It’s not a good idea to be either over confident or under confident either. You want to be confident, because confidence is engaging, but you also need to make sure you never believe you have the job until you do, so that you don’t become complacent. “How’s the weather outside?” “It’s terrible.” Every question that you’re asked matters. Those that respond to questions about weather with something negative, for example, are going to quickly come across as negative people. Treat every question with importance. Another common problem is self-doubt in an answer. It’s not uncommon to answer a question as though you know you might not be as good as someone else. Don’t do it. Show confidence that you know you can learn. People love to talk about themselves, and questions show interest. Ask questions about the business, the products, and more. You don’t need to overwhelm them, but don’t keep questions to yourself either. It’s also crucial that you never speak ill of your past. It doesn’t matter if your boss was a jerk or your compensation was poor. As far as the interviewer is concerned, every job you had was great and every coworker you had was amazing. 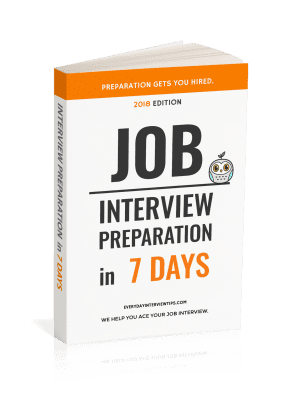 It’s not uncommon to be so distracted during the interview that you miss a question, do not understand it fully, or do not have a good answer. Don’t try to escape, since escaping questions almost never works. Instead, ask the interviewer to repeat the question early on and think a bit before you answer. Interview mistakes can make a lasting impression, especially if your interview is early on. Avoid mistakes and practice job interviews as much as possible to give yourself the best opportunity. COMMENT: What was the biggest blunder you’ve made at a job interview? This is definitely a checklist that people are preparing for job interviews to read and remember. However, you seem to have forgotten a mistake. It’s “Not Following Up”. It is basic etiquette and good practice to follow up with a simple Thank You email, reiterating your interest and offering to provide additional information upon request.